You're never too old to learn to play guitar! You Can Learn Guitar No Matter Your Age! If you want to learn to play the guitar you are never too old to make it happen. In fact, as an older guitar student you’ll have some definite advantages that you wouldn’t have enjoyed as a kid. 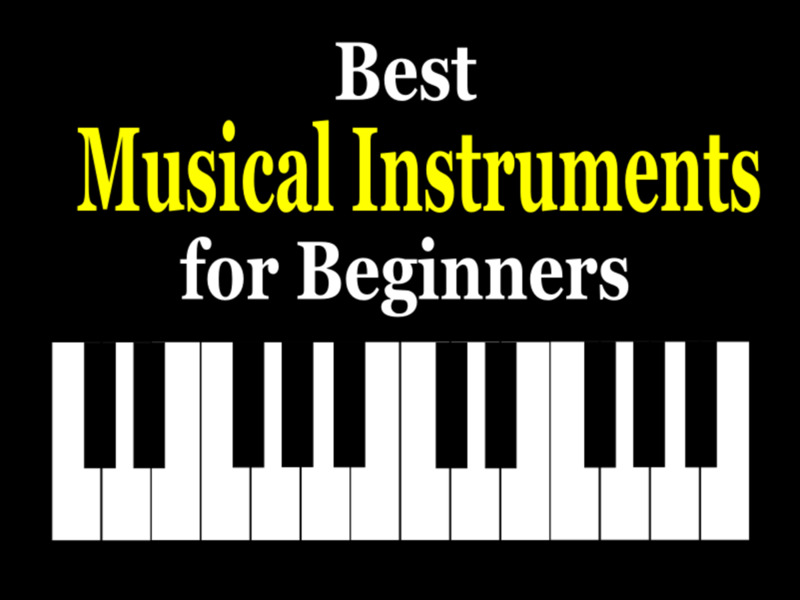 Whether you are in your 30s, 40s, 50s or beyond, it is never too late to learn to play a new instrument. 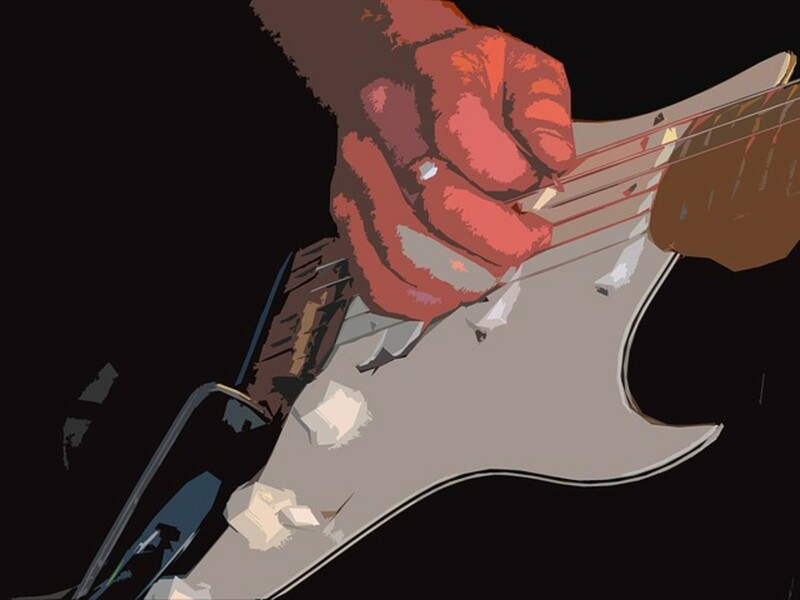 Here are ten good reasons why there is no time like the present to get started on the guitar. 1. Your Computer Makes Learning Guitar Easier than Ever! If you are pondering whether or not it is too late for you to learn guitar, you were probably a teenager before this whole internet thing took off. Today, computers and the internet are far more powerful than even a decade ago, and there are countless resources available to help you learn to play guitar. This is especially nice if you are a little nervous about getting out there and taking guitar lessons from someone who might be a lot younger than you. With the array of DVDs, guitar sites and YouTube videos available you can learn anything you would have from a guitar instructor without ever leaving your house. Thanks to the internet and powerful computer software, learning guitar today is way easier than when you were a kid. And what you don’t! For a kid learning the guitar, part of the journey involves exploring musical genres and figuring out what lights your fire. Country? Metal? Jazz? When you’re a kid, choosing the right road can be pretty confusing. As an older guitar student, you’ve already straightened a lot of that out over the years. You’ve been exposed to different kinds of music, and your knowledge is much more advanced than when you were a kid. You know what you dig, and what you’d rather stay away from. This awareness is super helpful when it comes to picking the right starter guitar, and choosing lessons and music that will inspire you to practice. In this way, you’re a big step ahead of any teenager picking up guitar for the first time. So maybe you let the laundry pile up now and then, and you have trouble saying no to a piece of chocolate cake, but I’d guess you are still much more disciplined than the average teenager. 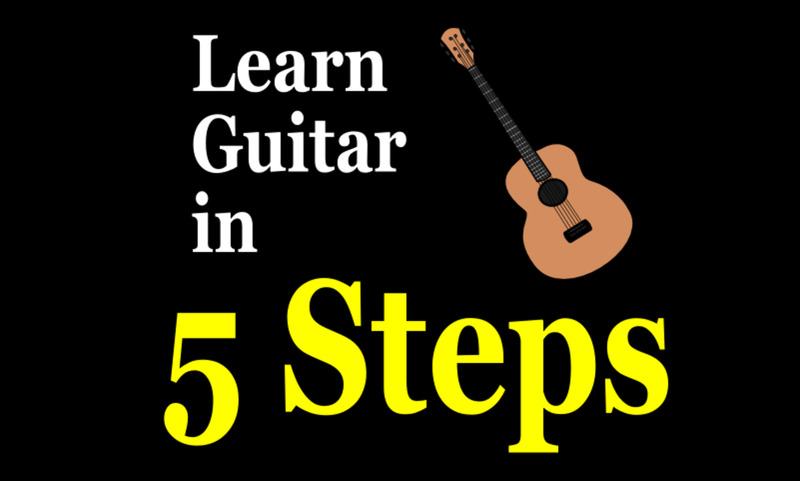 If you’ve managed to accomplish things like graduation from college, holding down a decent job, raising a kid or maintaining a home you’ve proven you certainly have the discipline to learn guitar. It’s just a matter of putting your mind to it, if it is something you really want to do. The one common theme I hear from adults who say they want to learn guitar but never do seems to boil down to not really believing they can do it. Look around at the things you've accomplished in the rest of your life and you’ll see that’s not true! If you really want learn to play guitar, you can! While most of us aren’t rolling in cash, it’s also true that our earning power is far greater than it was when we were kids. Most teenagers who learn guitar are stuck with low-budget instruments and amps, partly because their parents are not totally convinced they will stick with it. 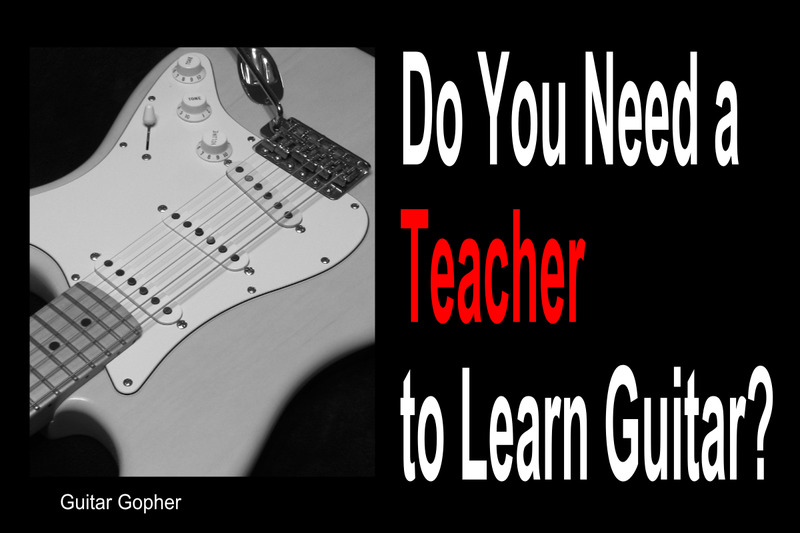 Problem is, crummy guitars aren’t very inspiring, and can even impair the learning process. If you are an older guitar student you have no such issues. You’re in command of your cash flow, and you decide where your money goes. If you are in a good financial situation, the sky may be the limit. But even those of us on tighter budgets can find solid beginner’s gear for good prices. Of course you still have to reconcile your purchases with your spouse. Can’t help you there! If you are over thirty and learning guitar for the first time, your head probably isn’t swimming with thoughts of becoming the next Jimi Hendrix. While you can certainly go on to become a semi-pro or even professional musician, it’s almost impossible for older, unknown musicians to make it big. That's just the culture we live in. While this might sound a little depressing, from the right perspective it’s actually very liberating. As kids, many of us started out learning guitar with thoughts of becoming famous musicians and changing the world. As the years rolled by it became less and less likely this would happen, until we eventually realized the ship has sailed. Now that’s depressing! As an older guitar student, you can skip all that garbage and get straight to the place most of us eventually arrive at once we pass thirty. From the beginning, you can play guitar for the love of the instrument and the joy it brings you. Of course there are adults out there who seem to never have a free moment, but most of us have way more free time than we did as kids. I think back to high school and between class, homework, a part-time job, sports practice and spending required time with family I don’t know how I got anything else done. The key today is the same as back then: Time management. If you want to find time to practice, you will. Maybe that means getting up early before work every day, or skipping some television or internet time. Kids have trouble buckling down and prioritizing. As an adult, you’ve already proven you can do this. If you are serious about learning guitar you know how to find a way to fit it into your schedule. Kids are hard on each other. Adults can be even tougher on kids. Remember the Twisted Sister video where the father berates the kid for wasting his time playing guitar in his room all day and demands to know what he is going to do with his life? The answer: I Wanna Rock! When you’re a kid it’s really hard for other people to understand why you’re spending so much time with the guitar. Your classmates think you’re weird and adults think you’re headed for prison. As an adult, you’ve already made your way in life. You don’t need to justify to anyone why you love the guitar, and nobody is going to judge you. For this reason alone, it’s a whole lot less pressure to learn guitar as an adult than as a teenager. Which Side of This Discussion are You On Today? 8. Play Guitar and Reduce Stress! Everybody is stressed out these days. I know I am. When I have twenty minutes to close the door and plug in a guitar it is just as good as twenty minutes in a hot tub. Music does great things for your brain, body and soul. As an adult guitar student, approaching the instrument as a life-affirming recreational activity rather than some kind of mountain to conquer can make you more likely to practice, and will improve the quality of your practice sessions. As an adult you may find it easier to learn guitar once you realize how much it does for your mood and stress levels. When life seems to be trying to break you down, you’ll always have the guitar to get you through. When you are a teenager, learning guitar often means you’ll find yourself with a group of like-minded peers who have similar goals. Once you get into your twenties many of those people have dropped out of music, but those who remain are serious, dedicated and ready to conquer the world. In your thirties things get rough. Even more people drop out and go off to live normal lives, and the only people left to jam with seem to be people who already have had some success, or people who are a bit nuts. If you haven’t had success, you start to wonder if you are in the latter group. But as you get older something interesting happens. People who love music, and gave up on it to pursue other careers, start to come back and relearn their instruments. In some cases, they even start performing again. Except this time they aren’t trying to conquer the world. They are just playing because they love it. Life after thirty, for a guitarist, really is the golden years, and the perfect time to get into music. 10. You’re More Awesome than Ever Before! 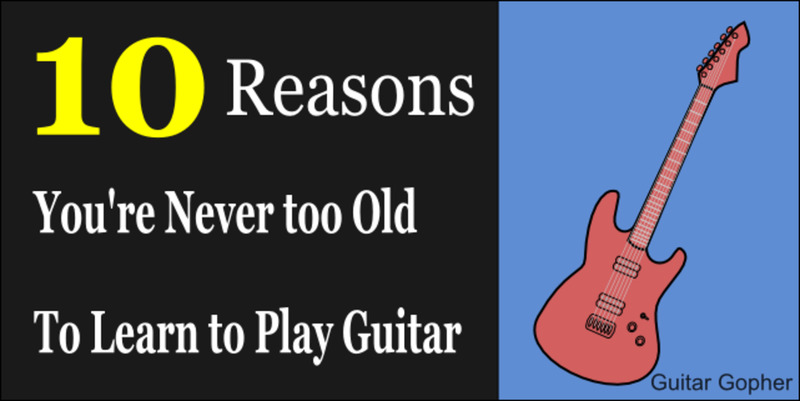 So here it is, the tenth and best reason you are never too old to learn to play guitar. You are more awesome right now than you have been at any other period in your life! You have more experience, more knowledge and more wisdom than you did when you were a kid. You know who you are and what you want. You’ve achieved so much in your life, and have been through a lot. Maybe you’ve survived an illness, been through a divorce, beaten a bad habit or maybe you just feel like it’s time for a change. I’ll tell you the same thing I tell every adult who says they want to learn to play guitar: You can do it if you really want to, and you’ll never regret it. If learning guitar is on your bucket list, do it now, because you are more prepared for the challenge than at any other point in your life. I started playing guitar when I was twelve years old. It was one of the best decisions I’ve ever made, and I’ve never regretted it. Over the years I’ve known many adults who said they wanted to learn, and I’ve always done my best to encourage them. I can’t imagine my life without the guitar, and I want them to have the same joy as I’ve been lucky enough to experience. Some listen, and some don’t. I’ll never understand why some people are so reluctant to pursue their dreams, but then again I know some things they don’t. So, you’ll just have to trust me when I tell you that learning guitar, or any instrument that inspires you, will be one of the smartest choices of your life. You’ll never regret it, and it will benefit you in ways you can’t even imagine. You’re never too old to learn to play guitar, so what are you waiting for? Too Old for the Guitar? Are you going to learn to play guitar? I'm going to go for it! I want to, but I don't have time. I want to, but I don't think I can. I want to, but I don't have the patience. I don't want to. Seems like too much work. Read this shortlist and discover the top ten guitars that are best for beginners, all under $200 and from big names in the guitar world. Discover the best guitar amps under $100 for beginners, all from top brand names, plus learn what to look for in your very first guitar amp. @Kimberly - What a great story! You are surely an inspiration for your children, and I hope for everyone who reads your comment here as well. I am astounded at how easily I am learning. Mother of 3 under six. Busy and whirlwind of a life, but time to learn something I always wanted to but never had the willingness to do. Some chords are a real bugger to get because I have a small hand span. And I find bar chords something i am not keen on tackling as of yet, however I have already learned a number of songs and two in particular, finger picking ones, I mastered in about a week. I am beyond thrilled. I truly never thought I could do this. I also expected a really hard and long slog before I felt any reward. And its only been 4months. The best part is, my 3 little people are watching. Eager to learn. My 6yr old is now learning piano. Her younger sister is itching to learn drums. The whole experience is a serious achievement. You just need to have a willingness. I was gifted a cute blue Classical Nylon string guitar at Christmas. Was great to get started. In March I decided to buy a steel string acoustic Cort guitar to help improve my form. As i said, my finger span seems limited due to small hands, so moving to the steel string was a good choice as frets are closer together. And the number of songs I am desperate to learn... well it's endless. Please, if you want to try learning, believe its worth the effort. I am 58 year old but still play , i think that's help me to relax my mind, event i am not a great player just teach myself how to play my own way, but i'm very happy with it. That's awesome, Kim! Just have patience and don't quit. You'll never regret it learning to play guitar. Congratulations, Louie, and good luck learning guitar. 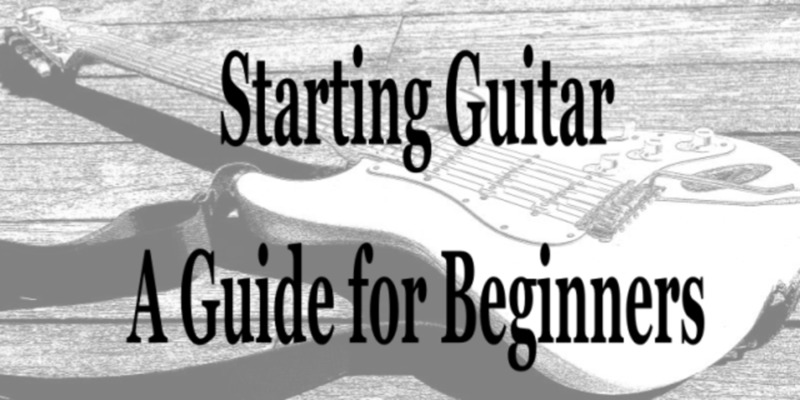 There are a couple of articles on beginner guitars linked at the bottom of this article. 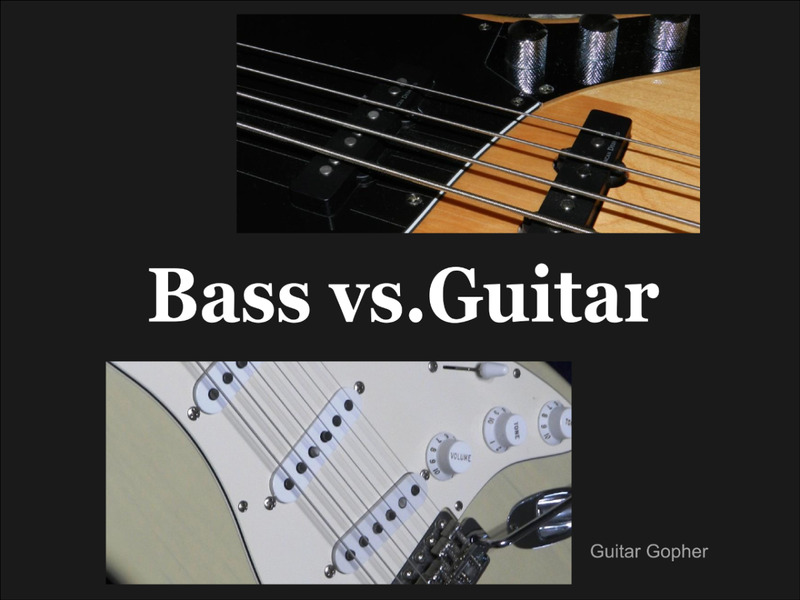 I have many more articles about guitars for different genres and skill levels. This ought to get your started. so i am 30 years old, and it has been my dream to play an instrument. I'm always jealous of those people who can play guitar. now, my next step is to buy a guitar, any suggestions? what an inspiring post. I just turned 59 and have never played a instrument but am going to start now. thank you. Fretting about my brain losing stuff as I'm now over 70. Thanks to this article I will dust off my old acoustic languishing in the loft! Thanks! Hi ridestuff. Congrats on starting an amazing journey! The first thing you need to do is learn to tune the thing. Then, start learning some basic chords. There is a ton of info around the internet that can help you out. Here's an article I wrote on getting started. 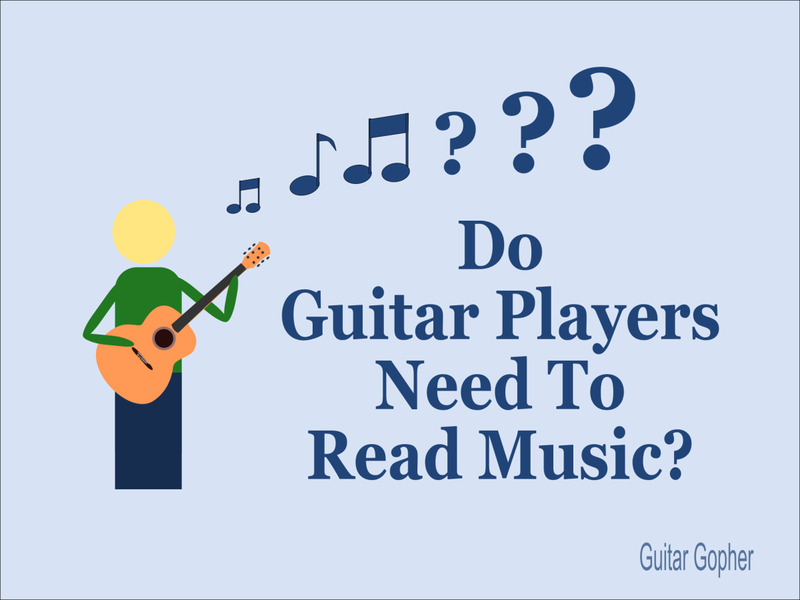 Since you already have a guitar you can skip ahead to the parts about learning to play, etc. Good luck! Turned 45 recently, and today my wife bought me a beautiful blue guitar. I can't wait to start some lessons. Any tips in the mean time? I can't read a lick of music... Thanks for this article! Thanks for the encouraging article, I'm over 50, picked up playing guitar after a 27 year lapse and been playing straight now for nearly 4 years. I'm working almost entirely on the road and could not find a better thing to do with my spare time. I do online lessons with Guitartricks, join Meetup guitar groups when I can and catch some private lessons when home in the Philadelphia area. I hope one day to be part of a small band for fun or volunteer with another guitar friend for the disabled and seniors. I now don't look back but look ahead! Good for you ,Greg! You won't regret it! 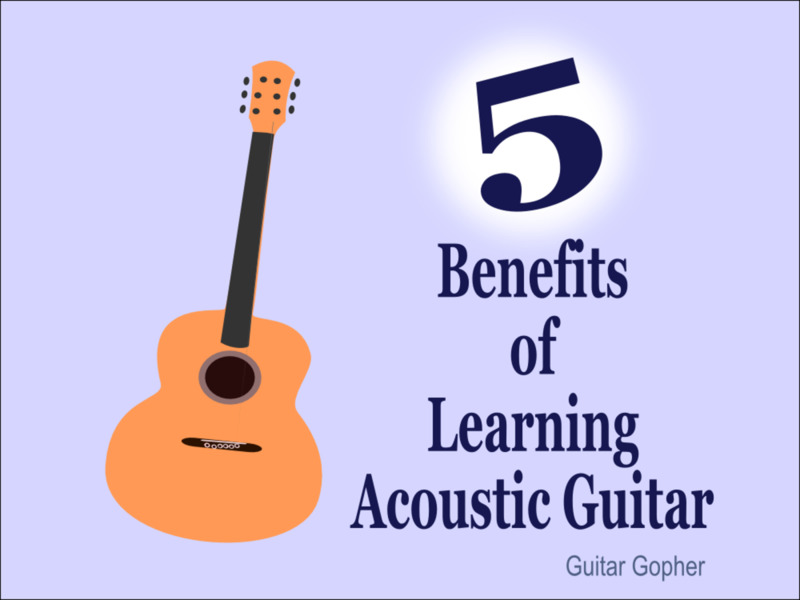 I am an adult learner.I love practicing guitar.This article is very good and informative.I love to play guitar.thanks for sharing. Good luck, Rusty. You definitely won't regret learning a few chords. Thanks Eric! I appreciate the kind words. Voted way up. This is great and exactly what I need to hear. Thanks for writing this! Big thumbs up!!!!!!!!!! Yep, and also, learning new things always expands the capabilities of the human brain; and playing some music can be very stress relieving!